13 November 2018 - Groningen (NL) - Lambert Instruments today announced the introduction of a user-friendly sCMOS camera. The Lambert sCMOS automatically finds the optimal camera settings and captures excellent low-light images thanks to its advanced sCMOS image sensor. 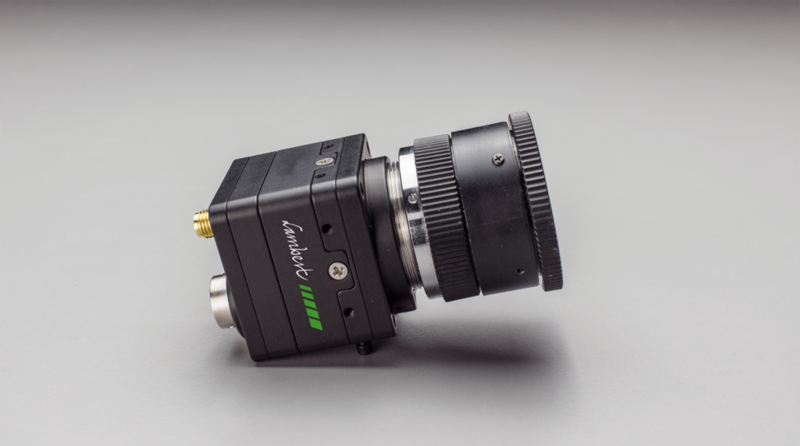 With the Lambert sCMOS, Lambert Instruments aims to simplify image acquisition for scientific research, machine vision and industrial applications. "Researchers don't want to go through complicated camera configuration procedures before getting started with actually imaging their samples." says Jeroen Wehmeijer, Business Development Manager at Lambert Instruments. "That's why we paid a lot of attention to making the Lambert sCMOS a user-friendly scientific camera with great light sensitivity. The camera takes care of optimizing the images so the user can focus on their sample." Automatic exposure and gain control adapt the camera configuration to match the current light conditions. And on-the-fly image correction and contrast enhancement ensure optimal image quality. In manual mode, users can fine-tune all camera settings for advanced applications that require quantitative image data. The Lambert sCMOS features a 1280 x 1024 pixel sCMOS sensor that captures detailed images. Thanks to its excellent light sensitivity, the Lambert sCMOS captures up to 100 frames per second even under challenging low-light conditions. For more information about the Lambert sCMOS, please visit lambertinstruments.com/scmos or contact the Lambert Instruments sales team at sales@lambertinstruments.com or by calling +31 50 501 8461. FASTBASE SOLUTIONS implements a new cancer diagnostics platform based on proprietary technology delivered through the Lambert Instruments FLIM Attachment (LIFA) technology. 30 March 2017, Groningen (NL) - FASTBASE SOLUTIONS has developed a high specificity, super-sensitive, quantitative biomarker platform employing amplified FRET. This platform is designed to report on protein activation states and protein-complex formation in situ, such as in tumor biopsies. The mission of FASTBASE SOLUTIONS is to be the leading platform in cancer diagnostics, bringing precision to cancer patient treatment. The image acquisition and analysis platform that FASTBASE SOLUTIONS employs is based on the fluorescence lifetime imaging technology developed by Lambert Instruments. Both parties have agreed to enter into a strategic partnership in order to successfully market FASTBASE SOLUTIONS technologies. Lambert Instruments B.V., founded in 1992, located in Groningen, the Netherlands, develops advanced imaging solutions for low-light applications. 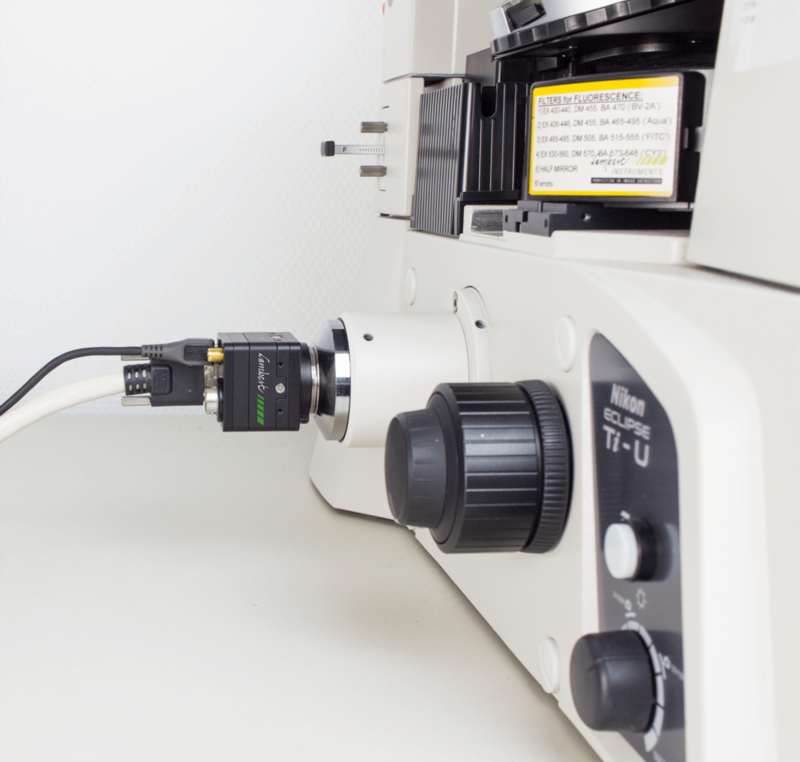 Its flagship product is the Lambert Instruments FLIM Attachment (LIFA), which is a turn-key solution for fluorescence lifetime imaging microscopy (FLIM). With end-users at all major universities and research institutes worldwide, Lambert Instruments has a solid reputation for high-end imaging solutions. FASTBASE SOLUTIONS, is located in Bic Bizkaia 612, 48160 Derio, in the Basque Country, Spain. It was founded in 2016, by Peter J Parker, Banafshé Larijani, Pierre Leboucher and Antonio Ferrer. FASTBASE SOLUTIONS is implementing new technology to provide functional proteomics insights. This proprietary technology is delivered through the Lambert Instruments FLIM Attachment (LIFA) technology. Both Lambert Instruments and FASTBASE Solutions will be present during the Focus On Microscopy conference in Bordeaux at booth 91. For further information please contact Lambert Instruments at +31 50 501 8461. Lambert Instruments is moving to a new location on May 1. Our new office building in Groningen is easier to reach for customers and it is more suited to accommodate our ongoing efforts to develop advanced imaging solutions. Our phone number will remain unchanged: +31 50 501 8461. During this transition we might not respond to your emails as quickly as you're used to from us. We apologize for any inconvenience this might cause and will try to respond as soon as we can. Lambert Instruments announces a brand new megahertz gate unit for its intensified high-speed imaging products. The Lambert Instruments megahertz gate unit is a high-voltage pulse generator that generates up to a million high-voltage pulses per second. These pulses are sent to an image intensifier, enabling high-resolution gated imaging for applications like time-domain fluorescence lifetime imaging and single-photon detection. The megahertz gate unit is an important step forward in intensifier gating, as it supports continuous operation at 1 MHz. The advanced pulse generator provides optimal image intensifier operation at all repetition rates, even at the peak repetition rate. This high-quality signal further improves the imaging results of Lambert Instruments intensified imaging solutions. Lambert Instruments is proud to announce the shipment of the first LIFA to India, following our increased effort to meet the growing demand for scientific imaging equipment in Asia. Professor Inamdar studies quantum-dot-based FRET at Karnatak University in Dharwad, India. His interest in the LIFA was sparked by its ability to quickly measure fluorescence lifetimes. "We used to do FRET measurements using fluorescence intensities," says professor Inamdar, "but with ratiometric techniques you can't measure fluorescence lifetimes. So we started looking for a FLIM system, because fluorescence lifetimes are very useful for our kind of work." With the LIFA, Inamdar hopes to advance his research and extend it to biological applications. The LIFA is the ideal solution for such applications, because it can record a lifetime image in a matter of seconds, practically making the process a real-time experience. Inamdar was supported by Dynotech Instruments during the purchase process. Dynotech Instruments is a leading supplier of products and solutions in the field of optics in India, including Lambert Instruments products. From 23rd to 25th of September, Lambert Instruments and Dynotech Instruments will be at the Laser World of Photonics 2014 in Bangalore. Visit us at booth B006 in hall 3A for more information about the LIFA and our other products. 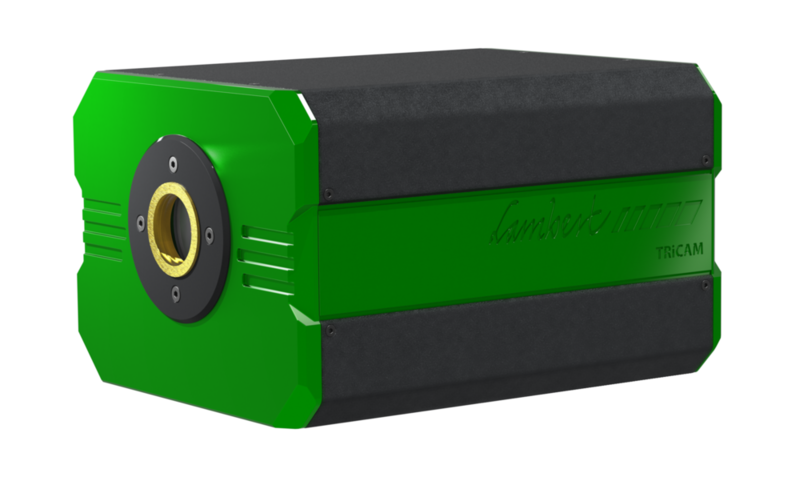 Lambert Instruments today announced the HiCAM Fluo: A high-speed camera for fluorescence applications. Starting from May 2nd 2013, our director Bert van Geest retired from Lambert Instruments BV. The company has been sold to a new owner and will be directed by Mr. Gerard Verheule as CEO. Gerard has a long background in technical commercial activities as owner and director of several wholesale companies in electrotechnical and electronic products. He will continue Lambert Instruments BV in its current state including staff and facilities. The company will continue to focus on the development, production and worldwide sales of high-end products for time-resolved imaging at low light levels, including intensified High-Speed cameras and FLIM systems, guided by customer feedback. A smooth transition will be assured by the services of Bert van Geest as an advisor.